We are nearing the end of the school year! We will begin IOWA testing on Wednesday, April 17th and Thursday, April 18th. Our morning sessions will begin promptly at 8:30am and run until 11:30 am. If your child is late and testing has already begun, they will need to come to the front office and wait until the section of testing is finished. The portion of the test will need to be made up either on the same day or the next day. All students will need to bring a calculator for testing on test days. We will not allow an iPad or iPhone to be used as a substitute for a calculator. Students can bring books to read and water bottles. There will be breaks during the testing, but there will be no food allowed during testing. If for some reason your child will not be here at the beginning of the sessions, or cannot stay until the designated ending times, please contact us, or simply reply to this email, we will make accommodations. Welcome to SCA Prom 2019! Prom is Friday! Everyone is invited to participate in Spirit Week. As we enter into the final stretches of the 2018-19 school year we will be traveling AROUND THE WORLD for PROM! 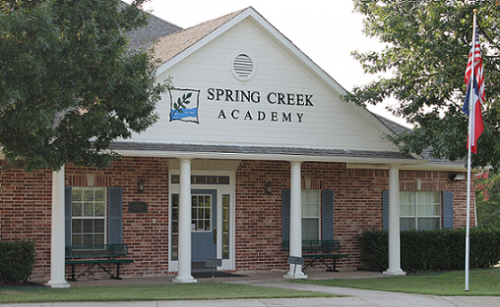 Spring Creek Academy Prom is for 9th through 12th grade students only, and will be held on Friday, March 29, 2019 at Event 1013 located in Plano, TX. Tickets are $35 each and will go on sale Monday, March 18 during lunch time. Please see Mrs. Gibson for tickets and guest forms. Students are allowed to bring up to 3 guests who are also in grades 9 through 12 , and the form must be signed by the guest's school and parents, then returned to Mrs. Gibson by Monday, 3/25...no exceptions. Each guest must purchase a ticket as well. Our facility will be closed from March 8th at 3:00pm until Monday, March 18th. We hope all of our families enjoy the week off. Thank you to the Plano Fire & Rescue Community Outreach & Education for sending Firefighter John Hicks to teach us about CPR and AED machines. The information is very beneficial! Our PSAT 8/9 and PSAT 10 begin at 9:00 this morning. Please try to arrive at least 15 minutes early and don’t forget your calculator! 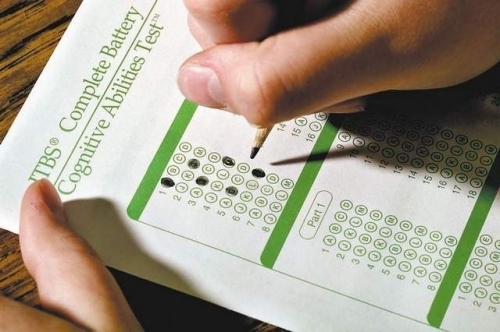 Good luck to everyone taking the PSAT today! We want to thank everyone who helped with our food drive! Thanks to our students, parents and staff, we were able to collect 1230 pounds of food for Minnie’s Food Pantry! Our 3rd Annual Minnie's Pantry Food Drive will be wrapping up this week. On Wednesday, 2-20-2019 the High School Student Council and National Honor Society will be having a bake sale. The proceeds of the sale will be donated to the food drive to help get us to the 700 lbs. for our free dress day. Thursday, 2-21-2019 will be the final day to bring your food items to help support our 3rd Annual Minnie's Pantry Food Drive. Help us reach our goal of 700 pounds of food. The food collected will be used to help feed children over Spring Break.